A right angle enclosure extends the life of cables by reducing the strains of everyday use. Power up quickly and safely, the USB-C connector supports charging at up to 3A/60W. Syncs devices at USB 2.0 speeds for transferring photos and music. 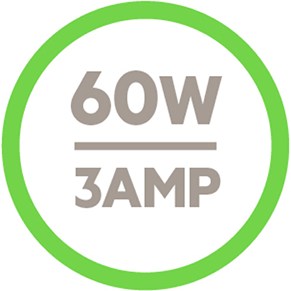 Quality Belkin engineering means properly spec’d components and full compatibility. 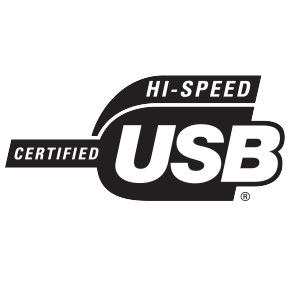 USB-IF certification means consumers can rest assured they have quality and compatibility. Charge and sync your USB-C mobile device with a ninety-degree USB-C cable. Designed to reduce wear and tear on the cable and on your USB-C device, it is ideal where space is limited. The right-angle strain relief is constructed using quality materials for added durability. Charge at home, in the car, or on the go. Devices can rest against the wall, on the edge of a desk, in a cup holder, or in a pocket without risk of added tension on the strain relief. The cable supports fast charging up to 3Amps/ 60Watts to charge your USB-C smartphone or tablet quickly and safely. With data transfer supported at USB 2.0 speeds, syncing music and photos between your mobile device and a USB-C laptop is fast and easy. 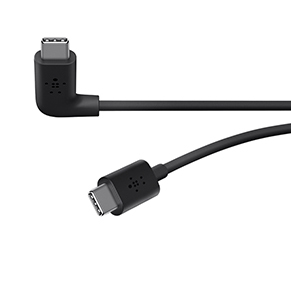 The commitment to quality around all Belkin USB-C cables is evident here in the robust strain reliefs at both ends of the cable. Tested to our usual high standards, the right-angled cable significantly reduces stress on the strain relief, improving the overall life span of the cable, and potentially the USB-C device. 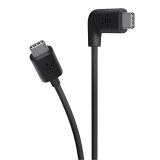 Certification by the USB-Implementers Forum guarantees compatibility with all other accredited USB-C products, ensuring that this cable will work with existing and future products with the USB-IF mark.